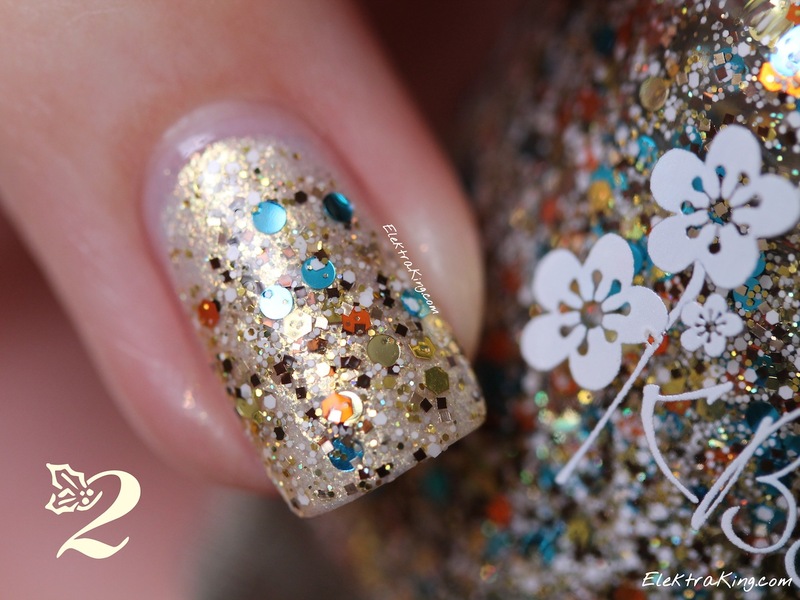 Die heutige Maniküre zeigt den weihnachtlichen Glitterlack KBShimmer Sand In My Stocking aus der neuen KBShimmer Winter 2013 Blogger Collection. Alle Lacke dieser Kollektion wurden von KBShimmer in Zusammenarbeit mit Nail-Bloggerinnen entworfen. 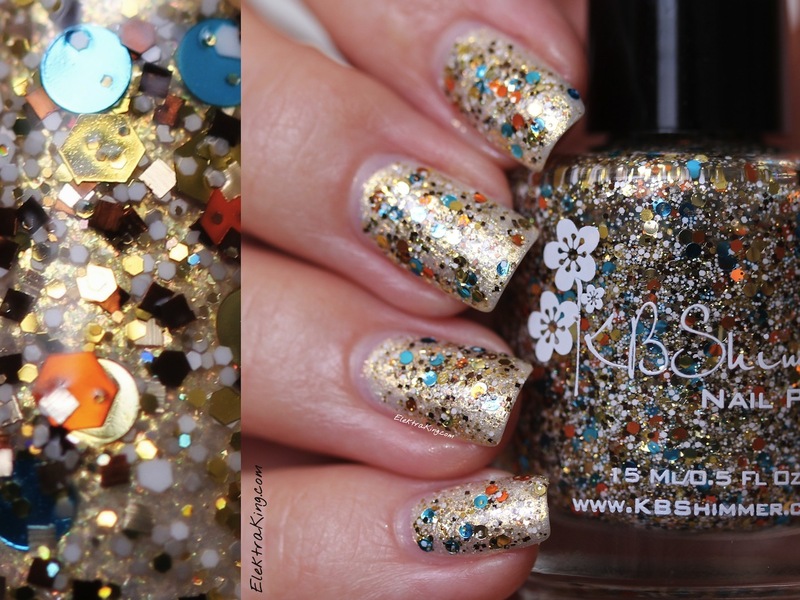 KBShimmer Sand In My Stocking entstand im Team mit Jen von The PolishAholic. Der Lack ist eine atemberaubende Glitterbombe und enthält kleine weiße, goldene, braune und graue Glitterpartikel, außerdem größeren goldenen Glitter in Hexagon- und Kreisform, orangen Hexagon-Glitter, blauen Glitter in Kreisform und goldene Sterne! Today’s manicure features the festive glitter topper KBShimmer Sand In My Stocking from the newly released KBShimmer Winter 2013 Blogger Collection. All polishes of this collection were created in collaboration with nail bloggers. KBShimmer Sand In My Stocking was inspired by Jen from The PolishAholic. It is an absolutely gorgeous glitter bomb packed with small white, gold, tan, grey and brown glitter, larger gold hex and circle glitter, orange hex glitter, aqua blue circle glitter and gold holographic star glitter! Ich trage 3 Schichten OPI Ski Slope Sweetie aus der Mariah Carey Holiday 2013 Collection und darüber 1 Schicht KBShimmer Sand In My Stocking. I’m wearing 3 coats of OPI Ski Slope Sweetie from the Mariah Carey Holiday 2013 Collection and 1 coat of KBShimmer Sand In My Stocking. 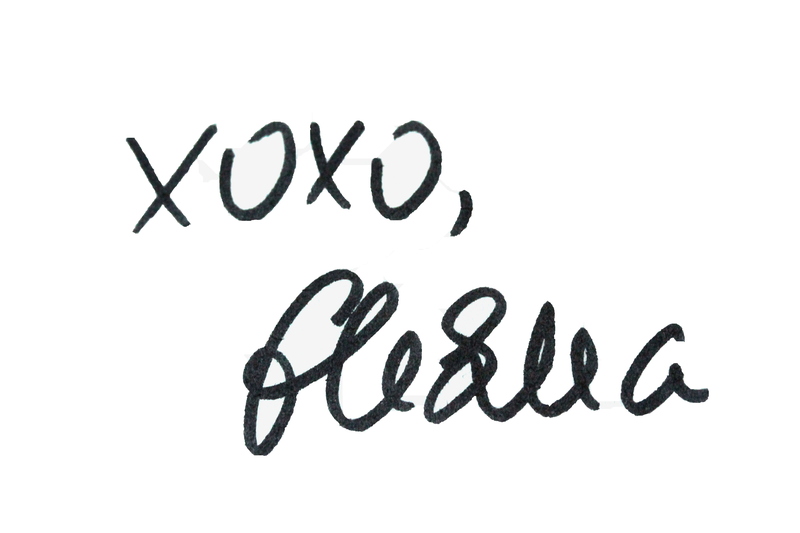 Have a lovely evening, Ladies! 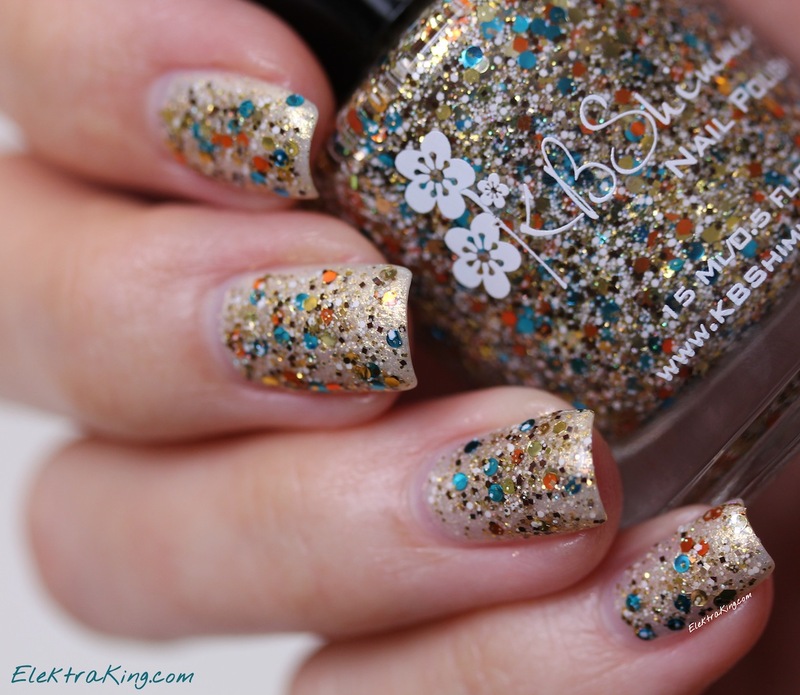 Divine awesomeness in a bottle – and on your nails! Oh wow, such a varied glitter!